You smell like beef & cheese! 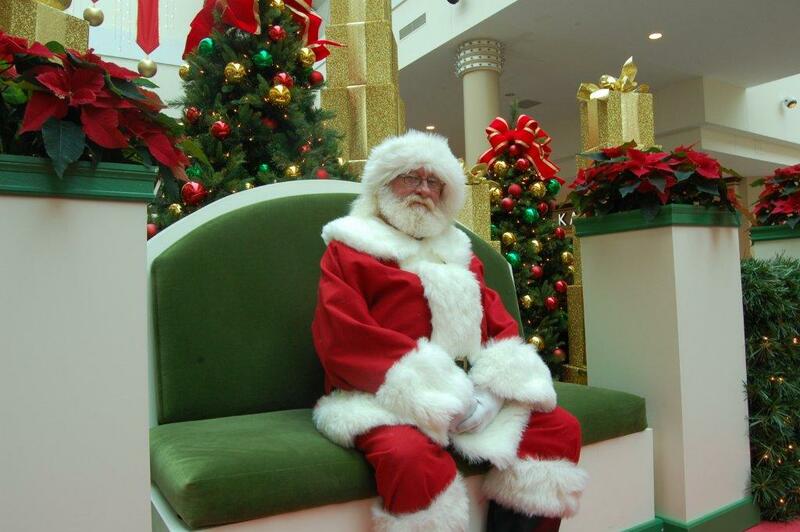 Santa got a brand new home at Shoppingtown Mall this year. 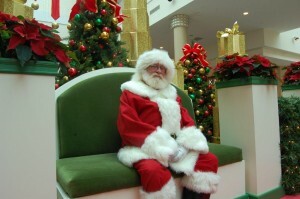 He doesn't sit on a throne of lies (a quote from Elf, I'm sure this is the real Santa, look at that beard), he sits on a velvet, custom made bench! 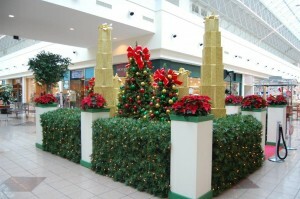 Look at that hedge fencing & the glitter boxes! The bow toppers were hand made by our little elves. The Downtown Decorations workforce is a little too old to visit Santa, but I know we all wish we had a photo shoot with him. How does he keep those gloves so clean? What's on your wish list this holiday season? I'll be interviewing Santa's helpers throughout the next few weeks to see what they're looking for under the Christmas tree. I'm sure everyone just wants world peace.